For past two years we have shared the spiritual significance of Deepawali Festival through the articles Enlightening Deepawali and Happy Diwali. This year same message is expressed in a small Mantra, in a Haiku. Please read the articles and feel the peaceful beauty of this Greatest festival of Diwali. "Such a beautiful haiku Mohini. 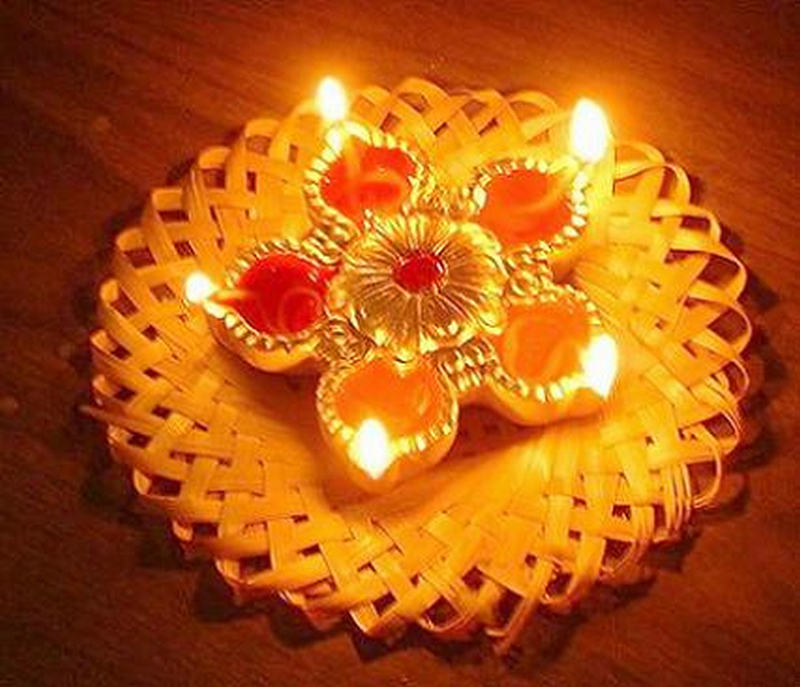 And such a bright Diya picture also. Thanks so much dear for your inspiring comments on Zephyr Aunty's blog :) Wish you a truly Happy Diwali and may the New Year bring lots and lots of smiles on your face :)"